Last night, as I prepared skoudehkaris, the national dish of Djibouti, my wife asked what was in the meal. One can’t go wrong with a meal that starts like this. I’d been pondering this a bit in the run-up to skoudehkaris, the fact that so many Muslim countries had rice-and-meat dishes as their national dish. Afghani palao, Qatari machboos, even Pakistani nihari were all in this realm. But it hadn’t occurred to me, until that point, that Spain might also be in this group. And a cursory bit of research shows that paella itself evolved well after the Moors left Spain, even if the Moors, apparently, were the people who brought rice to Spain. Onion and lamb sizzle before adding the tomatoes. I screwed up skoudehkaris, not dramatically, just enough to make me annoyed. 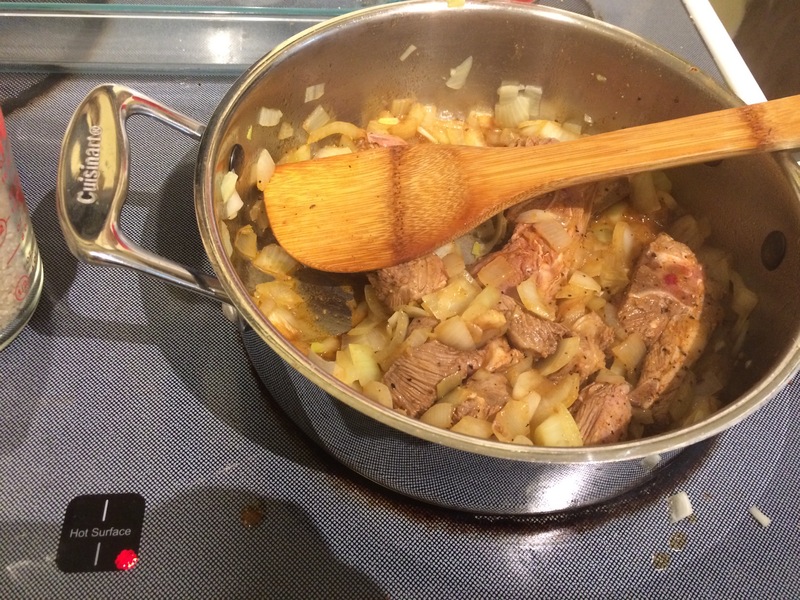 You’re supposed to let the meat simmer a bit, let the juices flow out, before adding the rice. 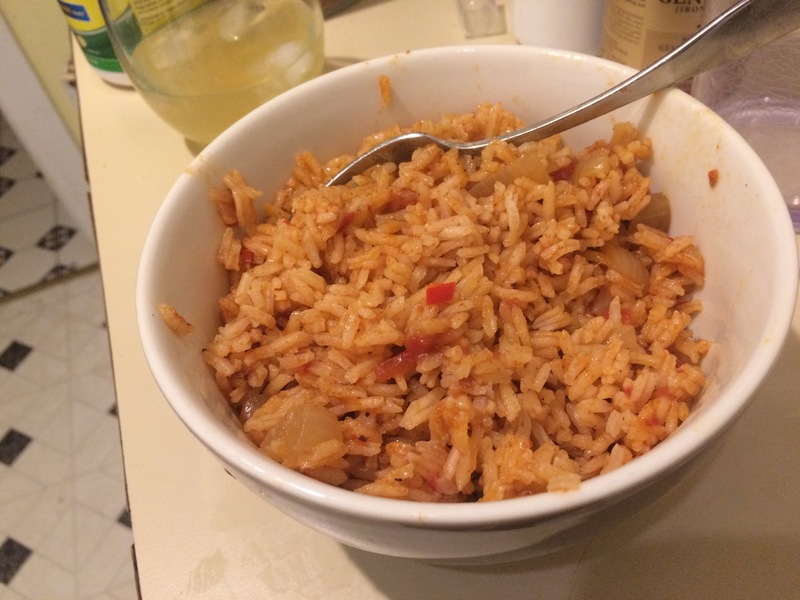 I dumped the rice in immediately, making a minor mess that had a dominant tomato flavor. It was still tasty, yet another unique, memorable and easy take on rice-and-meat from the Muslim world. It’ll be in the rotation again. Note – I originally sourced this from Dalekh.com, but that site appears to be down now. A rich color for rich flavors. Don’t add the rice until you’ve simmered the meat for 45 minutes! Dice the meaty parts of the blade, but don’t get too crazy around the bone. Marinate the lamb, including the bone, for 8-24 hours. 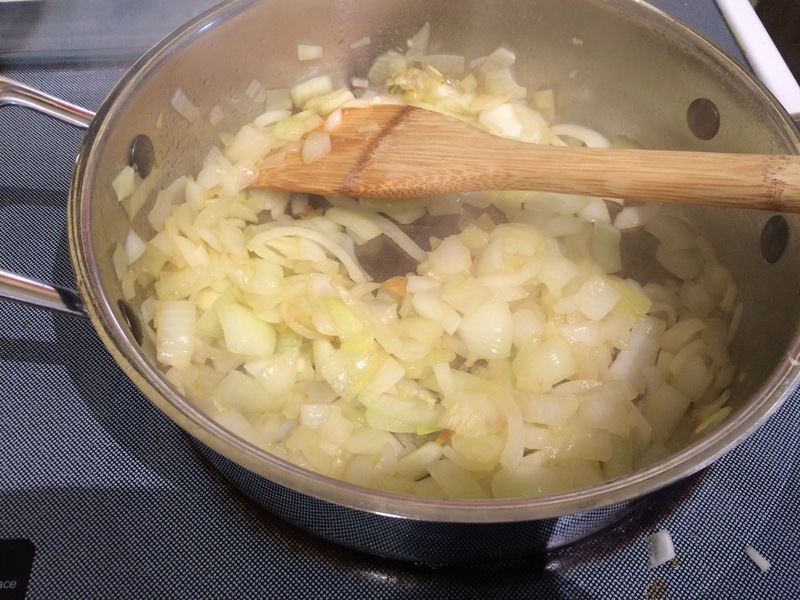 Fry the chopped onions until softened. Add tomatoes and allow to cook for a few minutes. Add all the spices, cover with water. Simmer for 45 minutes before adding rice. 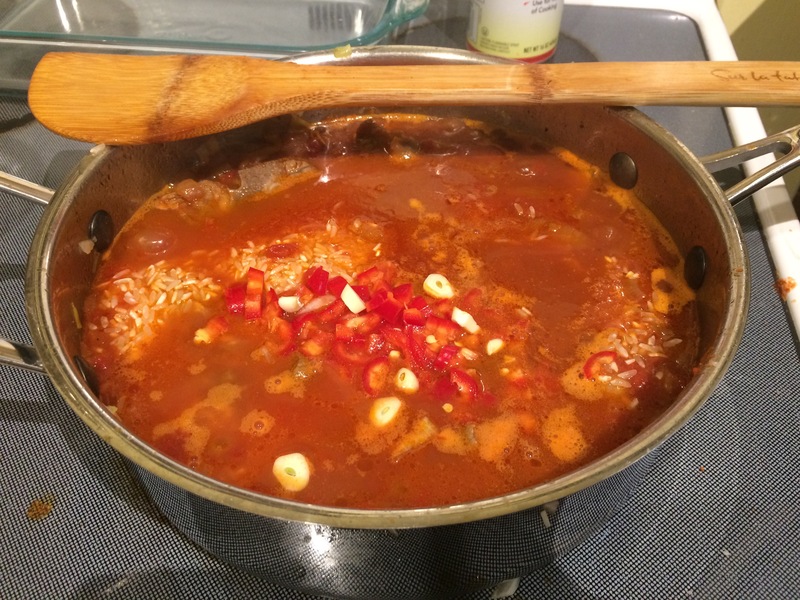 When the meat is tender, add the rice and 2 cups water, bring to a boil, reduce to a simmer and cook for 20 minutes, until liquid is absorbed or evaporated. Delicious skoudehkaris. And maybe some delicious whiskey, too.